Feeling artistic? Do you feel like taking part in an event that brings together international artists and scientists, an event that is also part of the world’s largest festival of light? Fancy seeing your work featured throughout Vivid in the gallery space of the Spunky Bruiser, Darlinghurst? 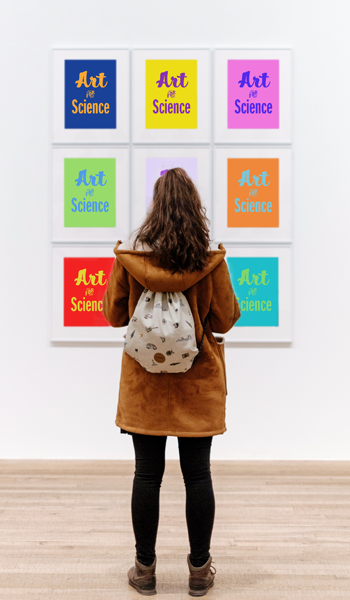 Care for the opportunity to meet some of the giants of science-based art, and to take part in a competition judged by Emmy and BAFTA award winner Drew Berry and Head of Curatorial at the Museum of Applied Arts & Sciences Jacqui Strecker? Wanna win a Cintiq 13HD as first prize?! Come on and join the VizbiPlus Challenge! Competition entry is free and open to all, including junior participants. one Wacom Cintiq 13HD valued at AUD $1,199. sponsored by Garvan Research Foundation. opportunity for a solo exhibition in the Spunky Bruiser Store along with collaborative garment design and making with Spunky Bruiser to complement and be available for sale at the solo exhibition. Profits from collab garments will be split and artworks featured in the solo exhibition sold commission free. Watch and be inspired by the videos below. Check out the other assets shared by the artist too; they include images, models and scientific information about the videos. Download the animation assets here. Create one piece of art or create many pieces of art! Work alone or as a team. Entries can be anything: a sculpture, a painting, a movie or an image. However, in order to make the judging process fair between different media, every artwork (including sculpture and movies) will be judged based on ONLY a digital picture that you’ll submit (see Step 3). This shouldn’t stop you creating non-digital work or work in your favourite medium. 3D artworks should be made well and be able to withstand transportation and handling. They must also be stand alone or already attached securely to a stand. Artworks must not be top heavy and must sit solidly on either a stand or base of the artwork. All medium applied to the works must be dry before presenting them and no unsafe materials such as broken glass, sharp metals , sharp wires or toxic mediums are to be used in competition entry artworks. Submit this form with a picture of your artwork. If you created multiple pieces, make sure you submit multiple entries. Please remember: your work will be judged based ONLY on the submitted picture. Remember to take that into account when creating the picture, and make it memorable! Brief description of the artwork. Entry format: still image of 16:9 aspect ratio (landscape), PNG format, min. 1920 x 1080 pixels, max. file size: 20 MB. Note: Still images can be a screenshot of a video or an art piece you have created, but again the judges will base their evaluation on the submitted image. All artwork provided must be of family friendly nature, not be of a violent nature, does not incite violence and be for general exhibition i.e. suitable for everyone to watch including children without supervision. By submitting you will certify that the submitted material does not infringe anyone else's copyright.The entrant retains the copyright of all artworks submitted as competition entries. Also, selected artwork submitted as competition entries will be exhibited at the Spunky Bruiser (Darlinghurst, Sydney) and displayed on the VizbiPlus website and, if chosen as finalists, shown at the Vivid Ideas event on 12 June 2017 at the Vivid Ideas Exchange MCA. The entrant grants the VizbiPlus Team use of the artwork in the promotion of future competitions(e.g. posters, web pages, blog posts, and posts to social media including facebook, twitter, tumblr and instagram). impactful communication, communication of scientific concepts through artistic expression, strength of aesthetic and conceptual quality, creativity. All artists selected to exhibit will be responsible for the delivery and collection of the artworks to and from The Spunky Bruiser Store on dates specified (to be advised once selection process is complete) – all artworks must be clearly labelled with full name and contact details. The gallery space will have an exhibition opening as a free Vivid event on the 29 May 2017. Enjoy the show and meet the other artists (more details to come after the 14 March 2017). If your artwork is selected for the finals, you’ll receive an invitation and a free ticket to the award ceremony on the 12 June 2017 at the Vivid Ideas Exchange at the Museum of Contemporary Art, Sydney (travel and accommodation costs not included). The ceremony constitutes part of a bigger event, namely VizbiPlus: Bridging Science with Art, Design & Animation which will feature a keynote talk and artwork from Drew Berry, an award winning scientific animator, whose work has been exhibited at leading international museums including the Guggenheim, MOMA, and the Royal Institute of Great Britain. Please note: to be in contention for the major prize you will need to be present at the final-round selection/award ceremony. For teams, at least one designated team member must be present.